Include The Big Apple On Your Bucket List. As a business owner, wife and mom. We get so caught up in our every day of life and we tend not to pay attention to ourselves. Time to visit the Big Apple New York City. 1. The Statue Of Liberty. Bartholdi was inspired by a French law professor and politician, Édouard René de Laboulaye, who is said to have commented in 1865 that any monument raised to U.S. independence would properly be a joint project of the French and U.S. peoples. Because of the post-war instability in France, work on the statue did not commence until the early 1870s. In 1875, Laboulaye proposed that the French finance the statue and the U.S. provide the site and build the pedestal. Bartholdi completed the head and the torch-bearing arm before the statue was fully designed, and these pieces were exhibited for publicity at international expositions. Address: Liberty Island, Manhatten, New York, N.Y. Hours: Daily 8.30 to 4 p.m. The Empire State Building is a 102 story skyscraper. It was completely built in1931 with a roof height of 1,250 feet, with a total of 1,454 ft. Address 5th Avenue between 33rd and 34th st, Manhatten New York City. The Chelsea Market complex fills an entire city block bounded by Ninth and Tenth Avenues and 15th and 16th Streets, with a connecting bridge over Tenth Avenue to the adjacent 85 Tenth Avenue building, which was also part of the Nabisco complex but is now separately owned. In addition to the retail concourse. 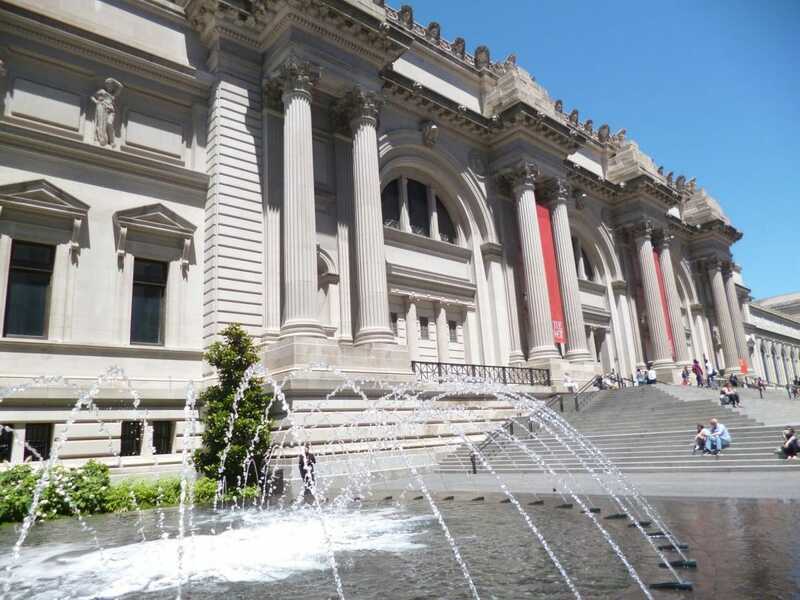 The Metropolitan Museum of Art was founded in 1870 by a group of American citizens – businessmen and financiers as well as leading artists and thinkers of the day – who wanted to create a museum to bring art and art education to the American people. These are just a few places in this magnificent city to visit. I hope this article brings value to everyone. Wonderful article, Camille. I am a native Staten Islander and never get tired of visiting New York City whenever we are in town. Thanks for sharing the places to see in the Big Apple. It's a very nice city to visit and the places there looks unbelievably beautiful.